LISTEN to today's show with Tammy Lynne Stoner! Tammy Lynne discusses her debut novel, SUGAR LAND and will discuss race and class, sexuality & identity, with her signature wit and style. SUGAR LAND, a Southern-fried novel, is getting RAVE reviews (see just a few below)—please check out her site to find out more about the little-known true story of the musician Lead Belly who became the inspiration for this incredibly poignant work. 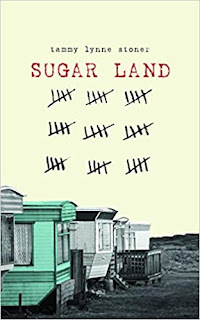 Sugar Land is the southern story of Nana Dara, a prison cook in the Imperial State Prison Farm in 1923, who—with the help of the blues singer Lead Belly—discovers how to break out of her own physical and emotional prison to become the feisty, lesbian matriarch to a family of Texas misfits. It’s 1923 in Midland, Texas, and Miss Dara falls in love with her best friend—who also happens to be a girl. Terrified, Miss Dara takes a job at the Imperial State Prison Farm for men, hoping to keep her secret attractions under lock and key. Once there, she befriends inmate and soon-to-be legendary blues singer Lead Belly, who sings his way out (true story)—but only after he makes her promise to free herself from her own prison. 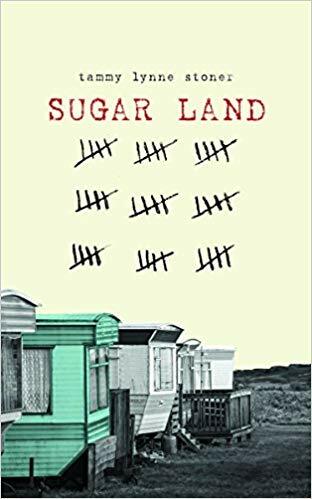 Sugar Land is a triumphant, beautiful debut novel about the heart’s refusal to be denied what the heart wants. tammy lynne stoner’s work has been selected for more than a dozen anthologies and literary journals. Stemming from what her grandmother calls her “gypsy blood,” tammy has lived in 15 cities, working as a biscuit maker, a medical experimentee, a forklift operator, a gas station attendant, and a college instructor—among other odd jobs. She is also the creator of Dottie’s Magic Pockets, and the publisher of Gertrude, and wrangle of the GERTIE book club, based in Portland, OR, where she lives with her lady-friend, Karena, and their three kids. You can find her at TammyLynneStoner.com. This is how it goes in life: sometimes you’re born with a cleft palette or rickets, like my bow-legged Granddaddy, or a touch short on brains, like my Great Aunt Cal who everyone called ‘Stool.’ Me? I’m a double hitter. In addition to being what folks call “large boned,” I came into this world with homosexual tendencies—though back then I thought of it only as my strange, strong affections for some female friends, having no such notion of “homosexual tendencies” as a thing, at least not in Midland, Texas. Notions of this nature found footing in me eight months before I ran away to work in the kitchen at Sugarland Prison, when I got a job at the egg store. The egg store was all wood. Wood floors, wood ceiling beams, wood shelves—that rugged, knotty, reddish wood. The simple kind of wood they used to bury folks in before the floods, when rotting coffins popped from the ground like splinters and dead bodies dropped out in maggoty heaps. The egg store smelled like wood, too, which I liked. That and just the tiniest hint of smoke from Bibby’s metal pork smoker two streets over. I swear he ran that thing day and night, crazy redneck. And that’s where I fell in love for the first time, there in the egg store that smelled like wood and smoked pig fat.